Map It! 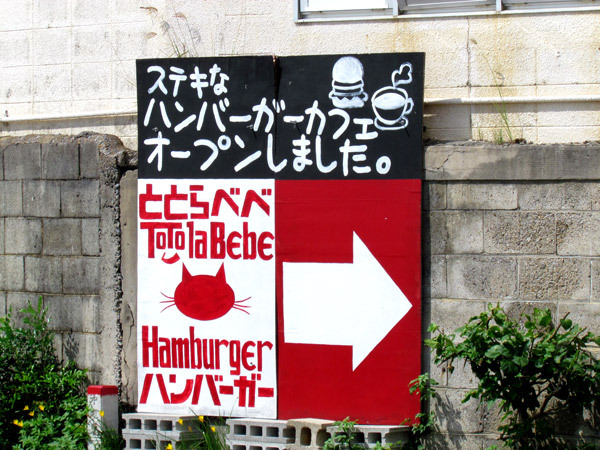 Okinawa: "Food Adventures – Toto la Bebe Hamburger"
When you are out and about on a beautiful Okinawan day exploring the outskirts of the Motobu Peninsula, try an eating adventure at Toto la Bebe Hamburger. By the photo you can tell they don't specialize in Okinawa cuisine. 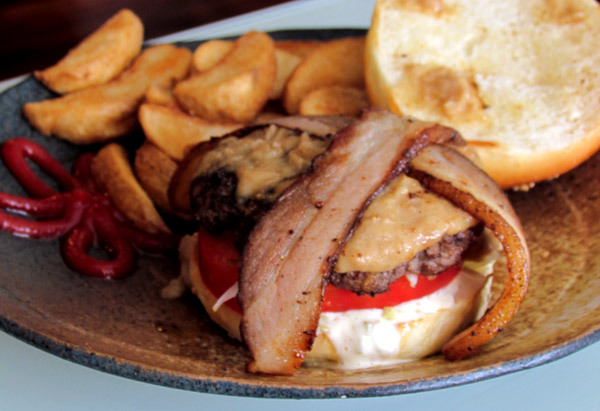 It's a Hamburger joint with an Okinawan touch. 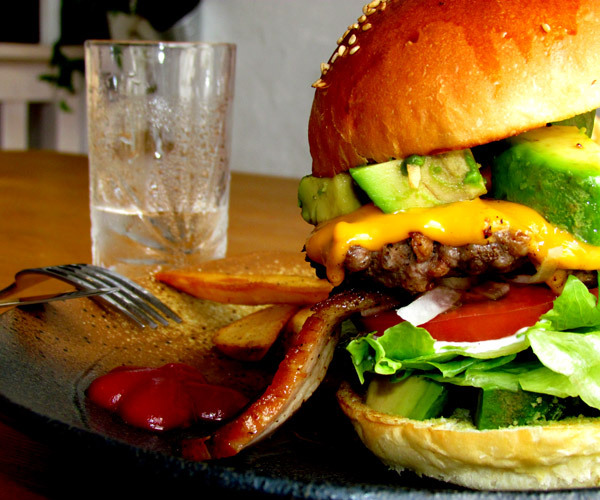 The picture above is their Avocado Cheese Burger with their special homemade bacon smoked from Cherry Trees, dices of avocado, and a touch of wasabi. But no picture can truly capture the mouth watering taste of a juicy, succulent burger. 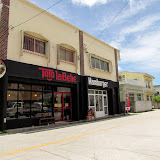 On your next exploration out in Motobu, take a pit stop at Toto la Bebe. The atmosphere is very cozy and the staff very, very friendly. Spoken English is limited, but that won't prevent your taste buds from having a 'heavenly time'. Menu. Their menu is simple. 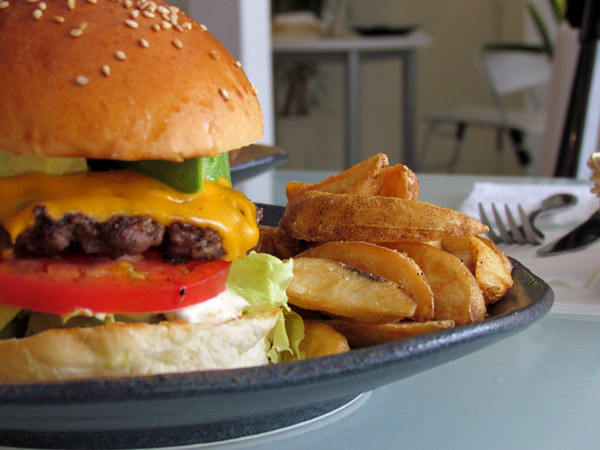 They have five delicious burgers you can choose from, along with an assortment of deserts and drinks. They do have a menu all in English. See photo of their menu selection. Price Range. 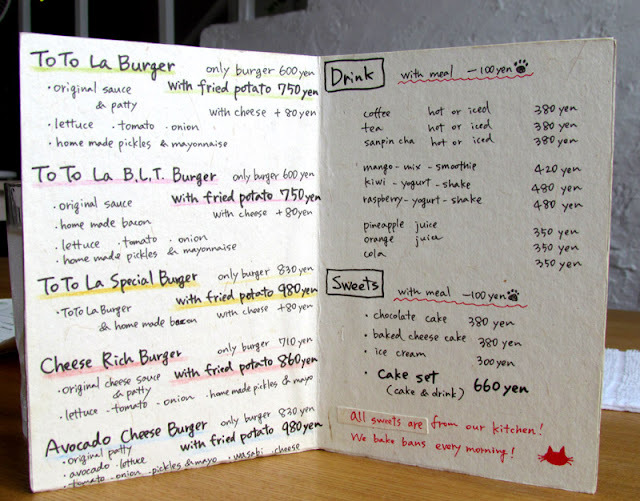 You will spend anywhere from 680 Yen to 1000 Yen for the burger to include a side of homemade french fries. Drinks and sweets range from 300 Yen to 660, however if included in the meal the sweets and drinks come at a discount. See photo of menu for price ranges. Parking. There is parking immediately to the front of the building or at a exclusive lot about 75 meters away. See Green Thumbtacks in the map above. Hours of Operation. 11am-6pm. Closed Wednesdays and Thursdays. Currency. Yen Only. Credit Card system not yet available. Directions. Toto la Bebe sits close to Highway 449 in a small town called Sakimotobu just a few kilometers south of the Sesoko Bridge. However, to get access to the restaurant, you have to enter at the designated Landmarks in the map above. There are two Landmarks. The first one (photo not available) is a street sign on the 449 that points to the 'Sakimotobu Elementary School'. If you past this you will run into another Landmark at a traffic signal. 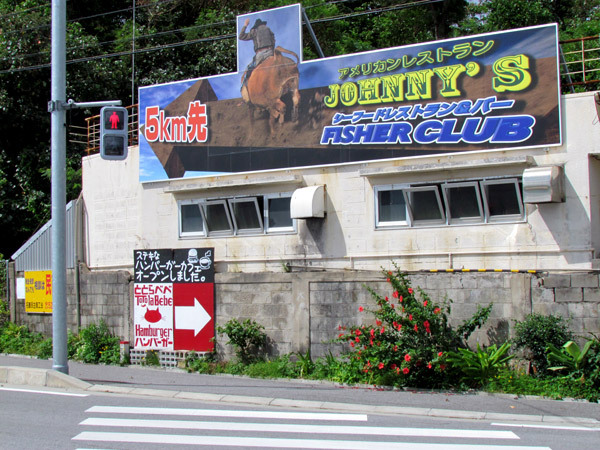 There is a sign of Toto la Bebe underneath another large sign for 'Johnny's Fisher Club'. Great burgers. Their menu looks different now with some changes to the set prices. I didn't think to take a picture of it. Check the back of menu for their unique drinks.